Six Top 25 teams will take the field and try to beat the heat to win the cup! 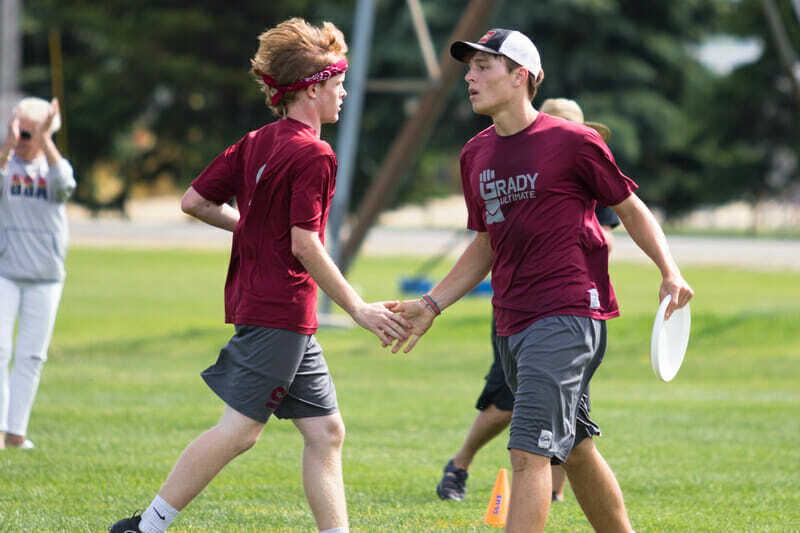 Ultiworld’s coverage of Paideia Cup is presented by CUT Camps; all opinions are those of the author. Please support the brands that make Ultiworld possible and check out CUT Camps! This preview was contributed by William Johnson of The Paideia School. For the 13th year running, some of the top high school teams around the country will gather in Atlanta, GA for Paideia Cup. All six teams in the open division are ranked in the top 25 and have legitimate aspirations of raising the cup come Sunday. While Paideia Cup prides itself on being a highly competitive tournament, spirit is valued above all else. This year is chalked up to be a battle between historic programs and younger but equally accomplished teams. There is no doubt that the high-intensity, high-spirit environment of Paideia Cup will produce some fantastic games. Paideia Cup XIII will follow a round robin format to allow for every team to play each other once. The only bracket game will be a final between the top two teams after round robin play. Due to space constraints at the field site, playing fields will be slightly narrow. In years past, this has led to the proliferation of zone defense. #3 Grady Gauntlet is enjoying one of their most successful years in recent memory. Gauntlet has gone 27-2 on the season with impressive wins over #4 Lone Peak, #8 Catholic, and #10 Carolina Friends. They have proven themselves to be an elite team with victories at Deep Freeze, Queen City, and a 2nd place finish at Terminus. Grady doesn’t show many complex defensive or offensive looks, instead relying on several standout handlers and a deep defensive line. U20 tryout player Aidan Downey can deliver the disc to any spot on the field with ease and is deadly in their efficient endzone offense. Adam Miller, a junior on the Grady O-line, is capable of shredding zones with quick give-and-gos. Several other strong players including Jacob Dillard, Jack Persons, and Franky Fernandez make Gauntlet a force to be reckoned with. In the past two years, the #6 Center Grove Trojans have made themselves known as an elite club in youth ultimate. Center Grove’s biggest strength is their athleticism, and although they lost some height along with six graduating seniors, they have remained dominant in the air. Their offense is led by U20 tryout player Alex Henderson, who has wide arsenal of throws. When Center Grove is in need of a break, Henderson’s explosive athleticism also allows him to mark up against the opponent’s stars and shut them down. As a team, the Trojans efficiently poach off of clearing cutters, constricting field space that will be at a premium at Paideia Cup. Center Grove defeated #7 Neuqua Valley and #22 Paideia on their way to victory at Neuqua Knockout. As long as the Trojans’ athletes can withstand the heat, Center Grove is a title contender. Paideia Cup has the potential to be a revenge tour for #7 Neuqua Valley. With second place finishes at both Indy Invite and Neuqua Knockout, they are still searching for their signature win. Neuqua is led by U20 player Joey Kennedy, who has the athleticism and skill to take over a game. His abuse of the mark as a thrower allows Neuqua to attack the entire field and causes defenses to shift their gameplan. However, he and teammate Joe Cercello are also dangerous in the deep space. Perennial powerhouse #10 Carolina Friends School returns once more to the Paideia Cup. With two previous Paideia Cup victories, CFS is the most decorated team at this year’s competition. Last year, the CFS Fighting Quakers dominated a talented Amherst team in the final, but they lost their star senior Liam Searles-Bohs to graduation. Luckily for the Quakers, U20 player Jake Taylor is finding success in the star role. At the YULA Invite earlier this year, Taylor played the role of kingpin for the Quaker offense. A key distributor and top cutter on the O-line, Taylor is also extremely effective in isolation. Although they suffered a surprising loss to #9 Jordan in the North Carolina State Championship, CFS is still a high level team with history on their side. The founders of modern ultimate have been thriving for 50 years now.1 The current incarnation of Columbia’s varsity team lives by the long ball. Handlers Daniel Friedman-Brown and Aylen Learned are capable of putting up massive hucks that U20 tryout player Tristan Yarter and senior cutter Max Spiegel bring down. Although CHS lost key contributor Jason Cooney to injury, they are itching to remind the field of their caliber. Earlier this year, Columbia placed 4th in the highly competitive YULA invite, 3rd at Born to Dive, and came in 1st at the Radnor Invite. In addition to these accolades, Columbia holds impressive wins over #15 Westfield and #20 Woodrow Wilson. For the second year in a row, #22 Paideia Gruel is entering their own tournament as the underdog. Gruel has not yet won a tournament in 2018, but does hold wins over Neuqua Valley, #17 STEM Academy, and #25 Mason. Unlike previous Gruel teams, Paideia’s offensive and defensive lines are not set in stone. Instead, U20 tryout players Matthew Shu and Ben Dameron anchor lines alongside junior captain David Chalmers with a deep squad rotating in when needed. For the seniors on Gruel, this weekend will be the culmination of their high school ultimate experience. If their dreams of winning Paideia Cup are to be realized, they will need to play their best ultimate. Comments on "Paideia Cup 2018: Tournament Preview (Open Division)"